Nestor Godinez is a Project Engineer at SLR International Corporation with 10 years of experience on civil, site remediation, and mining projects. His diverse project experience includes storm water management systems, grading design, construction quality assurance, utility layout, and water balances. He has designed storm water management systems and surface drainage grading for commercial, residential, mining, and landfill projects. He has performed quality assurance activities for environmental remediation and water infrastructure projects. He has developed water balance models for mining and landfill projects. He has worked on site environmental remediation projects. The projects Nestor has worked on are located in serval states in the United States and the countries of Canada, Mexico, Guatemala, Argentina, and Peru. Below are prominent projects in which Nestor has had an important role in. Nestor is a project engineer and CAD designer for the feasibility studies and environmental impact statement (EIS) of a proposed gold mine in Canada. Nestor has performed the hydrologic and hydraulic analyses for the storm water control and management system for the proposed tailings management and mine rock management facilities. These analyses were part of the feasibility studies, technical design report, and hydrology technical support documents for the EIS. Nestor has prepared the project water and chemical balance to estimate the project’s water needs and the project’s anticipated discharges to the environment. He has performed the open pit filling analysis to calculate the time it will take for the open pit lake to fill. He has prepared a model that simulated both the baseline and post-project development conditions on the water levels of the regional lakes and on the flows in the regional streams. Baseline surface water hydrology analysis to characterize project conditions used onsite and regional historical data. Water balance and modeling was presented in a technical support document for the EIS written by Nestor. Analyses performed and technical findings for the Magino Mine project have been used by Nestor to co-author two technical papers presented at conferences. Nestor was a staff engineer and CAD designer for the design of the grading plan, calculation for the storm water management system, evaluation of cut and fill volumes, and the preparation of the construction documents for the closure and remediation of three landfills on the closed military Port of the Presidio of San Francisco. The work involved the preparation of the grading plans, parking lot layout, and surface drainage management plans. Grading plans were prepared to accommodate the needs of various stakeholders which included regulatory agencies, community groups, and community oversight committees. The surface drainage design incorporated the use of bio-swales to treat storm water before in entered the storm drain system. He was involved in the preparation of hydrology studies to provide solutions for storm water management for large storm events. Nestor is a project engineer for the development of a predictive water balance model for a recently opened gold mine in Argentina. The water balance will be used by staff onsite to manage project water demands and volumes for the process plant and the tailings water pond. The water balance allows the staff onsite to adjust model parameters using real-time data collected onsite. The model adapts to the different stages of mine development. The main goal of the model is to minimize evaporation losses from too much water storage in the tailings water pond and to minimize the use of groundwater wells which would have effects on the local groundwater table. The model was developed with both Spanish and English translations. Nestor is a project engineer for a multi-party remedial investigation and ongoing remediation efforts for historical petroleum hydrocarbon releases in the upland area of Honolulu Harbor concentrated in five operable units. He has been involved in the preparation of technical work plans on how to handle encountered petroleum and minimize worker safety. He has prepared engineering feasibility studies for selecting remediation plans to prevent petroleum releases to the ocean from historical sources. He has prepared project schedules and cost estimates for ongoing and future remediation projects. He has conducted a study on the physical condition of the vast storm drain system to evaluate the state of repair of the storm drain system and to evaluate if there has been petroleum infiltration. Nestor has conducted a soil gas investigation in three operable units to evaluate potential explosive risks due to soil gas and to evaluate any potential changes to soil gas generation. He has assisted in the development of the utility vault monitoring program for hundreds of utility vaults for potential explosive hazards due to soil gas. Nestor was the construction quality assurance manager for installation of the geosynthetics liner system for two large enclosed concrete portable water reservoirs. The reservoirs replaced and open reservoir owned by the Los Angeles Department of Water and Power (LADWP). A liner system was installed as part of the subdrain for the reservoirs and a liner system was installed on the concrete roof of the reservoirs. Tasks for the project involved documenting the work, inspection of the geosynthetic liner system and liner connection welds, conformance testing with the use of non-destructive ultrasound methods, preparing as-built drawings, and as-built reports. Nestor coordinated with the reservoirs’ owners (LADWP), the reservoirs’ designers, the general contractor, and subcontractors. Nestor is one of premier construction quality assurance managers in the western United States for the bituminous geomembrane used in this liner system. He has been recommended by the geosynthetics manufacturer for other installation projects in the western United States. Hutchison,I., T. Hadj-Hamou, and N. Godinez. 2014. Systematic Analysis of the Protectiveness of Heap Leach Liners. Proceedings of Geosynthetics Mining Solutions, 2014; Vancouver, Canada. InfoMine Inc., September 8-11. Godinez, N, L. Gomm, I. Hutchison, and M. Tanguay. 2015. Predicting the effects of climate change on natural and mine affected water systems in a humid climate. Mine Water Solutions in Extreme Environments, 2015; Vancouver, Canada. InfoMine Inc., April 12-15. Godinez, N, S. Bortz, and I. Hutchison. 2016. Hydrologic risks properly characterized. Proceedings of Risk and Resilience Mining Solutions, 2016; Vancouver, Canada. InfoMine Inc., November 14-16. ASCE OC YMF – Past-President (2017-2018) – Advisory role to the current Executive Board and lead of the Awards and Recognition Program recognizing Younger Member Forum members for their contributions. Active member of OC YMF planning committees of events. ASCE OC YMF – President (2016-2017) – led the OC YMF during a period of increased growth of OC YMF, increased financial independence, increased collaboration with OC Branch, and a focus on better quality events. OC YMF has seen its board increase to a total of 38 members for the 2016-2017 fiscal year. The focus was to have programmatic, decentralized committees organizing their own diverse and quality events. Committees were encouraged to have a range of experience levels to form a type of apprenticeship program in the committees. The committees have been very involved in organizing more than a 100 events, seminars, and classes. This fiscal year OC YMF made a push to become more financially independent and increase its revenue sources. OC YMF restarted its long defunct PE Review Course hosted and managed by OC YMF. The course allows another fundraising source and more opportunities for younger engineers to prepare for the exam. There has been an effort to increase collaboration between OC YMF and OC Branch and the year saw positive results. Several committees already are joint committees which include the K-12, university outreach, website, and mentorship. More younger members also serve on OC Branch committees and technical institutes such as the Social committee, GI, EWRI, and SEI. The executive boards of OC Branch and OC YMF met twice in the fiscal year to discuss joint fundraising opportunities, increased collaboration efforts, and shared goals. OC YMF hosts many events and as a result a greater focus has been placed to created better quality events that apply to the diverse membership of OC YMF. Type of events included networking, social, community service, university outreach, K-12 outreach, technical program, and mentorship events. OC YMF co-hosted events with other YMFs, institutes, and other engineering organizations. Two successful events were the speaker series which focused on more technical topics this year about cutting edge engineering topics and the speaker panel which focused on legal topics important to the civil engineering community. OC YMF branch have a national presence in ASCE by bringing the largest number of board members to the Western Region Younger Member Council Conference, having members attend the National Convention, and having member attend the Younger Membership Leadership Symposium. The OC YMF Website Committee was recognized by Society for winning the 2017 CYM Younger Member Group Website of the Year Large Group. Nestor directly supervised and coordinated the outreach committees for OC YMF which included the K-12 outreach, university outreach, and organization liaisons. Nestor hosted meetings and conference calls between the five member OC YMF Executive Board in order to oversee the managing of OC YMF. Nestor met with members of the Board individually for mid-year check-ins to provide feedback and listen to their concerns. ASCE OC YMF – Vice-President (2015-2016) – supervised and coordinated the events committees for OC YMF which included community outreach, internal activities, external activities, and programs. Nestor served on the planning committees of the large professional development events of the annual 4-week Speaker Series and the 2016 Panel about small and minority owned businesses. Other responsibilities included assisting the OC YMF President with managing the organization and meeting with OC YMF Board members individually to provide feedback and listen to their concerns. Nestor also assisted with the 2016 Popsicle Stick Bridge Competition that was hosted by OC YMF in Anaheim. ASCE OC YMF – Internal Activities Chair (2012-2015) – responsible for the social and networking events hosted by OC YMF for local members. Nestor organized and hosted a diverse series of events aimed at appealing to the wide range of OC YMF members. The events included the monthly networking general meetings that were held at different restaurants in different areas of the county, the annual wine tasting trip to Temecula, and different social events. The different social events included attending professional sporting events, rock climbing, the annual OC YMF 3-on-3 basketball tournament, bar crawls, dancing events, beach days, and theme park outings. Nestor co-hosted events with ASCE OC Branch, other LA Section YMFs, Orange County Society of Women Engineers, Orange County Water Association, and the UC Irvine Engineering Alumni Association. -	Resume Workshop: Interviewer/Reviewer – Reviewed and provided feedback on resumes and mock interviews for 3 local universities. Volunteered as a guest panelist to provide tips and suggestions on how to create a resume and to how to interview well. -	Popsicle Stick Bridge Competition :Event Day Volunteer (Bridge Testing) – Explained to teams how and where their bridges failed and provided tips on how to increase performance for future bridges. -	ASCE OC YMF K-12 Outreach: Classroom Visit – Visited a STEM class on subsequent Fridays to present about civil engineering and host an engineering activity. -	ASCE OC YMF Community Service: Contributed to various holiday toy drives, a school supply drive, host a family drive, and various canned food drives. -	ASCE OC YMFJog-A-Thon: Volunteer – Volunteered with running the event hosted by OC YMF. Nestor Godinez, P.E. is a Project Engineer at SLR International Corporation with 10 years of experience on civil, site remediation, and mining projects. His diverse project experience includes storm water management systems, grading design, construction quality assurance, utility layout, and water balances. He has designed storm water management systems and surface drainage grading for commercial, residential, mining, and landfill projects. He has performed quality assurance activities for environmental remediation and water infrastructure projects. He has developed water balance models for mining and landfill projects. He has worked on site environmental remediation projects. The projects Nestor has worked on are located in serval states in the United States and the countries of Canada, Mexico, Guatemala, Argentina, and Peru. 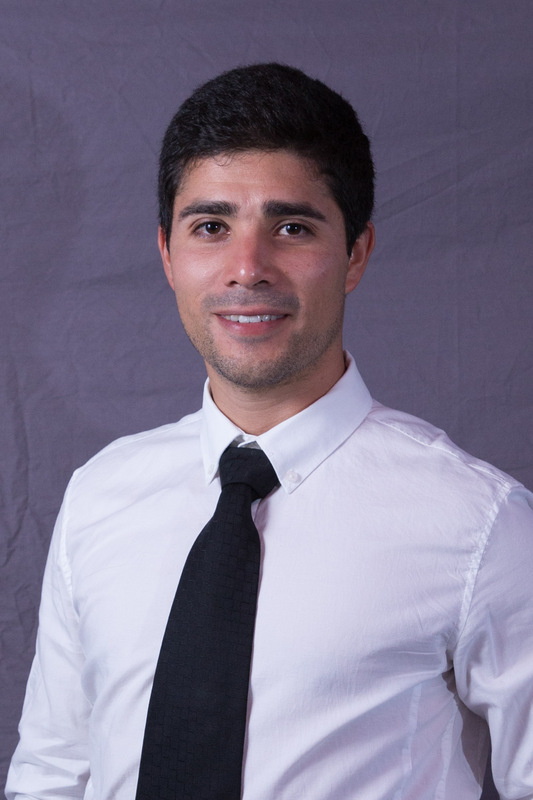 Nestor Godinez attended UC Irvine for his bachelor’s degree in civil engineering and Cal State Fullerton for his master’s degree in civil engineering.